After more than a year of rumors and vague comments from Samsung leadership, the Galaxy Home, Samsung's Bixby-powered smart speaker, is finally official. Sort of. Samsung briefly showed off the device at today's Galaxy Note 9 launch event in Brooklyn, but the company left us with more questions than answers. We don't know when it'll launch; how much it'll cost; what music services, if any, it supports besides Spotify; and, perhaps most importantly, what Bixby will be capable of when the Galaxy Home goes on sale. 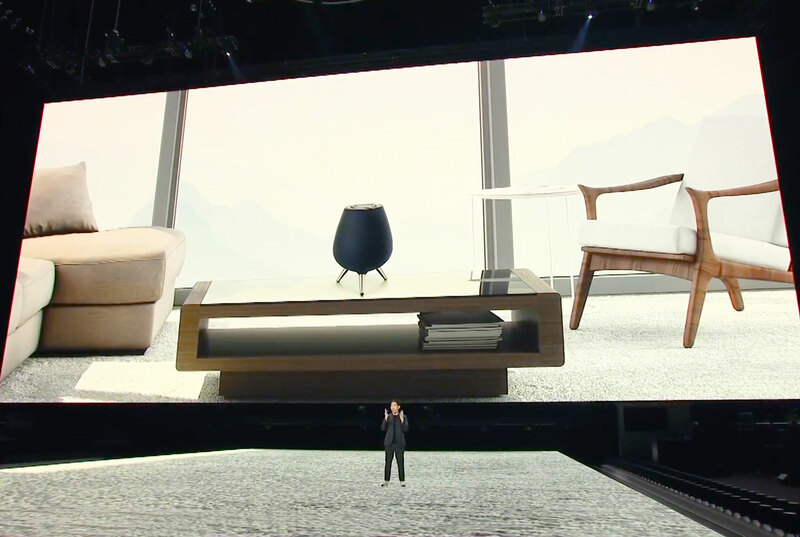 Like Apple did with the HomePod, Samsung is touting the Galaxy Home first and foremost as an excellent listening speaker, with multidirectional tweeters and a full subwoofer as well as some neat audio-optimization tricks. Spotify is Samsung's new streaming-music partner, which means you'll be able to control Spotify music playback with Bixby. The device will also serve as a hub for smart home gadgets using the SmartThings platform. Finally, we know Bixby will be on board, but what specifically it'll be capable of remains a mystery. While there will probably be some things to like about the Galaxy Home, the lack of info Samsung has provided made its introduction feel like a rushed, incomplete letdown. It's the kind of misstep that's hard to make when you're competing against the likes of Apple, Google and Amazon. While the Galaxy Home is joining a relatively new space, there's no question that Samsung is trailing its biggest three competitors -- largely because of Bixby. Ever since it was first introduced alongside last year's Galaxy S8, reviewers and users alike have slammed the digital assistant for not being as smart as its rivals. While Siri on the HomePod is missing features compared to Alexa and Google Assistant, it at least performs its limited functions well. When using Bixby on Samsung's phones, we've wondered why we should even bother when Google Assistant or other third-party apps work better. With the Galaxy Home, though, you likely won't have a choice. Bixby 2.0 might help, but based on today's demo, Samsung is still not offering much that makes Bixby stand out. The Galaxy Home also has a big partner in its corner. Spotify CEO Daniel Ek took the stage today to announce a partnership between the companies. He also showed off a compelling demo in which the Spotify app was able to recognize where the phone was inside a home and suggest a place in that location to play music. The demo first showed music playing on the phone, and then a one-press prompt moved the song to the Samsung TV in the living room. One tap on the Galaxy Home then transferred the song from the TV to the speaker in the kitchen. It's worth noting that Spotify was already available on a wide range of smart speakers, including the HomePod, Sonos family, Google Home lineup, PlayStation 4 and Xbox One consoles, and many more. Missing is the nifty spatial-awareness feature, but I imagine most consumers will be happy to easily use the app on whatever speakers they already have around the house. Still, getting star treatment from the biggest streaming platform around is definitely a good thing for a new product -- though we don't know how friendly the Galaxy Home will be to potential buyers using other services. All those unknowns put the Galaxy Home in a tough spot with the holiday shopping season fast approaching. Samsung is already months behind the competition, and it gave fans little to look forward to if they were hoping to buy a smart speaker. 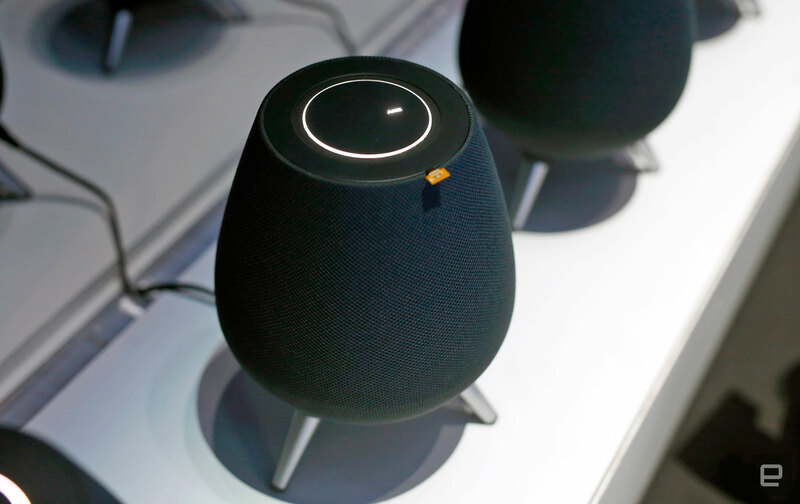 Based on today's introduction, it looks like the Galaxy Home, with its impressive speaker array and built-in subwoofer, will focus on audio quality first. That means it'll likely be priced in the $300-and-up range, similar to the Google Home Max and HomePod. But Samsung didn't even offer the assembled press a listening demo. Without that, we can't in good conscience promise readers that the Galaxy Home is worth waiting for. As it is, there are at least three options if you want a digital assistant that can also fill a room with excellent-sounding music, two of which would serve any Galaxy smartphone owners well. (As great as the HomePod sounds, it doesn't make a ton of sense for Android users.) Yes, Samsung has the resources to muscle into the market eventually, but unless it gives us an immediate reason to consider the Galaxy Home, it's hard to imagine the first-generation device being more than an also-ran.